Come in now and enter your name and the title of a book you have read for a chance to win a bag of goodies. You must be 18 or older to enter. The contest is from February 4 to March 30. 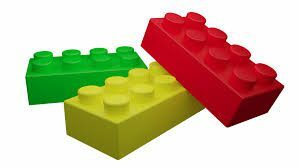 Thursday, Dec. 27th from 3:30-4:30 P.M.
Lego sets will be available for checkout and use around the library. Storytime will be beginning Tuesday Oct. 16 from 10-11 A.M. It will run every Tuesday from Oct. 16 — Dec. 18, 2018 and Feb. 5 — April 23, 2019. If you have questions please call the library at 308-473-3425.